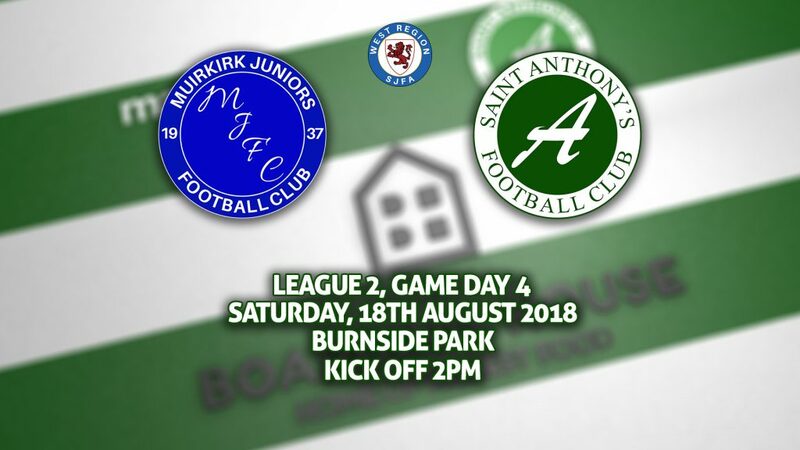 The Ants fell to their fourth successive defeat in the cruelest of fashions on Saturday when a controversial 94th minute penalty saw Muirkirk take all three points at a wet and windy Burnside Park. Both teams were looking for their first three points of the season and it was Muirkirk who made the breakthrough in the 16th minute when a Baxter cross was met by DAVID EDWARDS who headed beyond McCallum to put the home side ahead. They had their keeper to thank for them keeping their lead in the 23rd minute when Crawford found space in the box but Bogle saved well with his feet and the ball went out for a inswinging corner from Crawford that a was headed away to safety by a defender as it headed goalbound. Howie then came close for the home side but his headed went just over the bar. The game was really opening up and Nicholson got on the end of a corner but his header came back off the bar then Taylor had a shot deflected wide for the Ants then McIlavney did well to flick a ‘Kirk long throw over the bar. Crawford was causing all manner of problems on the left for Muirkirk and another good cross just missed the head of Kelly who fell on the ground, as he did the ball rebounded off the face of a Muirkirk defender but despite swinging a leg at it the Ants forward couldn’t get anything behind his effort and Bogle gathered easily. The game was stop start as the ref blew for fouls regularly and from one of these fouls Howie tested McCallum but the shot was straight at the goalkeeper and he held on. Muirkirk really should have been taking a two goal lead into the break when Edwards was sent through on goal, he rounded McCallum and squared the ball to Campbell six yards out, The midfielder just had to pick his spot but he dithered and this allowed Littler to save the day for the Ants with a tremendous tackle. The Ants came out fired up for the second half and another Crawford corner saw Mark McIlvanney head just over the bar then Taylor was sent through on goal by Ball, but the midfielder saw his effort well saved by the legs of Bogle. 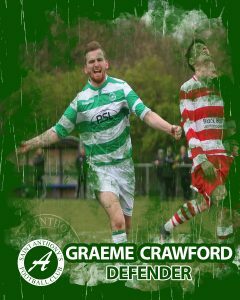 Muirkirk still looked dangerous going forward and Howie got on the end of corner but his header was saved by McCallum then another Campbell delivery was headed just over. The Ants almost got an equaliser courtesy of a defensive mix up when Bogle threw the ball to his full back who played the ball back to the keeper, John Ball had by this stage closed the keeper down and blocked his clearance. but as they raced to get the ball the ref blew for a foul on the keeper. Still the Ants couldn’t find the elusive equaliser when McCallum’s kick out saw Ball pressure former Ants man Neossi into a mistake and the Ants frontman found Kelly who shot from the end of the box but Neossi recovered well to get a foot on the shot and divert it out for a corner. In the 70th minute the Ants got the equaliser they deserved when Littler’s long throw found GRAEME CRAWFORD unmarked in the 6 yard box and he fired into the net past Bogle to make it 1-1 much to the delight of the travelling Ants fans and committee. The Ants equaliser seemed to bring Muirkirk to life and McCallum had to produce an excellent save when McVey flicked the ball goalwards but the Ants keeper got a good hand to it and pushed it wide of his far post. Another ball into the box caused problems for the Ants and McVey again got on the end of it but his looping header hit the bar and was hacked to safety. McCallum had to be at his best again when a Campbell shot was deflected into the path of Conlon at the back post but the Keeper produced another fine save to deny the home side the lead. The 94th minute saw the controversial penalty award when McVey was sent through on goal, McCallum came out to narrow the angle as Nicholson also raced back and the ‘Kirk sub went down, Mr Timmons pointed to the spot and DAVID EDWARDS showed great composure sending McCallum the wrong way from the spot to make the full time score Muirkirk 2 v 1 Ants.